After establishing a proven team of iPad Application Developers at Bangalore, the IT hub of India, GoodWorkLabs has set up a state-of-the-art iPad Application Development Company in the heart of San Francisco Bay Area. This center focuses on supporting the US and North American based clients with client engagement, sales, product management, UX/UI, application development, QA, deployment and a complete delivery cycle. Together, the San Francisco, California, USA and Bangalore, India offices come together to deliver the best products for our customers globally. We remember the day the iPad App Store opened for the first time and an app developed by the core app developers at GoodWorkLabs had worked passionately to meet the deadline to make it to the appstore on day one. We had succeeded and that was a moment to cherish, a moment of pride for us. GoodWorkLabs has a highly skilled and experienced team for the design, development, testing and deployment of iPad Apps. Apart from designing and deploying Apple iOS features such as Map Kit, In-App Purchasing, Pass Kit, Retina Display Optimization and Social Integration, GoodWorkLabs has developed innovative and bespoke features and integrated with third party systems to meet client specific business requirements. At GoodWorkLabs, we take a lean approach to building the apps and the UX. 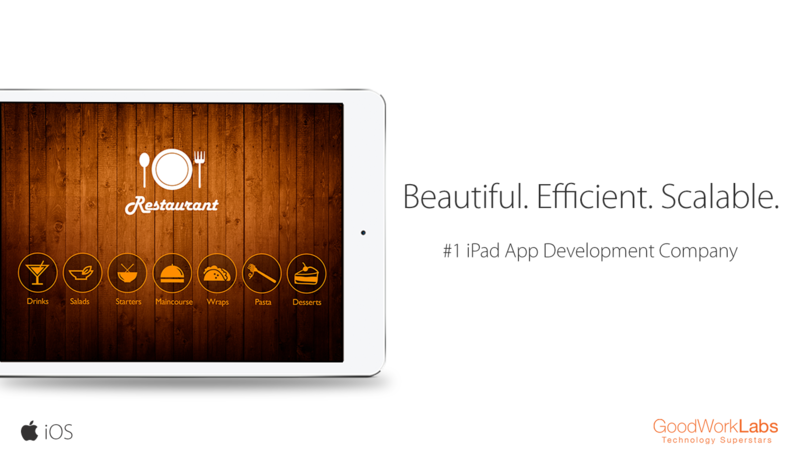 Take a look at our unique iPad app building process and iPad UX approach. For most customers, GoodWorkLabs handles the end-to-end iPad apps development, including requirement gathering, design, development, deployment and even your go-to market strategy. However, if your requirement is to just add more expert iPad app developers who can work remotely or from your location, you can hire our app developers and kick start your work immediately. Send us your requirement and your contact details, and we will revert to you with a free quote and possible design and UX approaches to your app.